Following a trend we first noticed emerging last year, the price index for new construction condominiums in San Francisco, as compiled by the Mark Company, dropped 3 percent in June and is now running 2 percent lower versus the same time last year, the first year-over-year drop for the index since it was launched in 2014 and versus a reported 20 percent year-over-year gain just ten months ago. At the same time, new condo sales totaled 32 in June, down 66 percent versus the same time last year and 72 percent lower than the month before, while the inventory of unsold units in the city (1,200) is now running 40 higher on a year-over-year basis. And of course, the number of condos listed for sale in San Francisco is running twice as high versus the same time last year. Or perhaps it has little to do with new supply, and instead is due to the drying up of demand from institutional and foreign investors? Uhhhh, that’s a perfect example of supply and demand. Pricing depends on both. A simplistic tautology. Pricing depends on many other factors, as well. And S&D is subject to many conditions and qualifications that you didn’t learn about in Econ for Kiddies. Everyone who’s taken Econ 1 and has been introduced to the basic S&D model suddenly thinks that is all there is to economics, and that it explains every economic situation in the universe. It’s the fault of neo-classical economics pedagogy, and frankly, it’s malpractice. Ceteris paribus explains all in macro econ. I think it needs to be said again. You gave a perfect example of supply and demand. You know, new supply and less demand. “You know, new supply and less demand.” Another simplistic tautology. The “new supply” didn’t suddenly cause “less demand.” The “less demand” is due to institutional and foreign speculators who are bailing due to macroeconomic conditions, not because of a sudden glut of luxury condos on the SF market. As the scope of the glut becomes apparent, it will begin to scare away more speculators, and at that point, you can more accurately point to the new supply as a downward pressure on prices. The same forces compelling speculators’ exit would obtain even in the absence of all this new supply? You’re reflexively attributing magical equilibrating properties to these trends without actually inspecting them. People whose knowledge of economics stops at Econ 1 S&D tend to do this. It makes a nice, simple story, but it isn’t necessarily accurate. If you’re going to use simplistic S&D models to explain all housing pricing, you might as well draw your curves in crayon. Keep with the insults. It makes your argument better. Simple minded folk like myself who are capable of reading comprehension would observe that Cliff never said that new supply causes less demand. Supply and demand are largely independent in this particular market and prices depend on both. If demand goes down and supply stays the same, prices go down. In a falling market, as demand goes down, prices go down if supply stays the same. In a falling market, as demand goes down, prices also go down if supply increases. In a falling market, as demand goes down, prices also also go down even if supply decreases. And it’s the converse in a bubble: Prices go up whether inventory stays the same, increases, or decreases. That’s part of what makes it a bubble. Woops, your S&D model just broke. Bubbles or crashes aren’t supposed to happen according to neo-classical economics, so neo-classical economists never foresee bubbles or crashes. Econ 1 S&D models don’t take asymmetric information and psychology into account. Two of the premises of neo-classical economics are that all market actors have equal information and that all actors always make rational decisions. It’s an infantile, a priori, unscientific fantasy. 2. that the simplistic charts and graphs they learned in Econ 1 are infallible, unquestionable, and sufficient to understand complex market behavior. Neo-classical economics is the least credible school of any social science. Calling it a “science” is too generous. It’s a belief system. It’s a beautiful, self-contained, and self-explanatory belief system, with extremely complex mathematical models, but a belief system is what it is, and its proponents are priests, charlatans, and hucksters, not scientists. I don’t think these people even took an Economics class, and they sure as hell don’t know a stitch about the Real Estate markets or the predictive track records of Economists. 2beers – Got any numbers to back up the assertion about those “institutional and foreign speculators who are bailing due to macroeconomic conditions”? Although someone of 2beers’ profound knowledge of economics knows well, it is also possible for demand to go up and supply to also go up even FASTER….which would lead to falling prices even if there was rising demand. My best guess today is that demand is slightly rising while supply is also slightly rising. Thus prices will be steady for the short term. There’s no need to guess if you have the data. And as we noted above, actual demand for new condos in June (i.e., sales volume) was 66 percent lower versus the same time last year while supply was over 40 percent higher. Of course, a single point doesn’t make for a trend and it could have simply been an anomalous month (time will tell!). But over the past quarter, sales volume was 50 percent lower on a year-over-year basis while supply was up an average of 40 percent. But perhaps it was simply an anomalous second quarter (time will tell!). Then again, new condo sales over the past six months have been 30 percent lower versus the same six months last year. And while one could guess that it’s simply a new condo thing which doesn’t speak to the market overall, recorded sales in San Francisco, which primarily represent the resale of existing units, have been trending down over the past quarter and were 8 percent lower on a year-over-year basis in May while listed inventory was running 50 percent higher at the time (a percentage which has since ticked up to around 70 percent). I heard Allan Mark speak at a Registry talk this week. He emphasized that while prices were stabilizing, there was still clearly insufficient inventory to meet demand. Also, that at the built new projects roll off, with potentially fewer new projects coming on line, this was likely to be an ongoing imbalance. Also some emphatic commentary from Oz Erickson, the principal of the Emerald Fund and SPUR heavyweight about the impossibility of meeting the new 25% affordable housing requirement for 25+ unit projects. “Even if they gave you the land for free…” Not a fan of the BOS. The politics will make things even worse before supply improves. To reiterate, sales volume (demand) was 66 percent lower last month while inventory (supply) was 43 percent higher, year-over-year. And at last months pace of sales, it would take a little over 3 years to sellout, assuming every unit currently under construction in the city or planned goes the rental route. At these prices, you mean. The obvious way to clear the market would be to lower the prices. But if there’s clearly insufficient inventory to meet demand, prices should be rising rather than “stabilizing” and there’s certainly no reason for prices to drop. Read between the lines … what Allan Mark is saying is that there is still room to profit with the existing inventory, just not at peak pricing. New condo prices in May were up 3% YOY. They are down 2% now, YOY. -2, + 3, BFD. It’s your site and your narrative. I’m just telling you what I heard from people who bet a lot of money on these things. Incidentally, Alan Mark complained about his data being misreported in the press. I digress. The developer panel also observed that a boatload of office space is being developed, and if any category is apt to be weak going forward, office seems like a stronger candidate. Either way, at 200sf per person, we’re going to pile a lot more bodies into the Salesforce tower etc.. This could be the big inflection point though, I know. A one-month dip in the index last May led to this year’s YOY gain. Regardless, the longer-term trend we identified has held. In terms of office space, if the developer panel’s big observation is that there’s a boatload being developed, they’re only a couple of years behind. And of course, office vacancy rates are on the rise, a trend which shouldn’t catch any plugged-in readers by surprise. The Salesforce tower is almost 50% leased by its namesake. I don’t think all the Salesforce employees there will be new hires. I’d imagine they will consolidate many workers from their other SF locations to the tower. 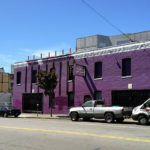 Freeing up sub-lease space from vacated quarters. It will be pretty easy to test Mr. Mark’s hypothesis. If he is correct that there is still clearly insufficient inventory to meet demand, we will see the condos on the market selling at a brisk pace and prices rising noticeably. If we do not see these facts develop, he will have been proven wrong. But you are assuming that these condos on the market are affordable to households in the market for housing. There can certainly be insufficient inventory at prices affordable to these residents. And, I doubt the prices can correct fast or deep enough to solve that dilemma. Which we know is a questionable assumption in the $1 M+ average price SF market. The housing market moves slowly, so 12-18 months of flatness is just what it took last time for the market to adjust. But fundamentally, the problem with “stability” is that at this high price level people are paying for and expect appreciation. Who can afford a $1M condo that will go to $1.5M vs who can afford a $1M condo that will go to $950k?? Who holds their home off the market for a year to get an extra 10% vs hanging on only to lose a few percent? People were talking on here about the trade-off as an investment of cash flow vs appreciation. But that assumes appreciation. Who wants to buy into low to negative cash flow and yet get no or negative appreciation? There’s feedback between price changes and both supply and demand which makes stability a difficult thing to achieve. Of course rates could still go lower and lending standards could get even looser. If 3% down with borrowed funds can be justified, why not no down like before? If people are buying at 9x income now, they could be buying at 12x income in a year from now. But what then? People have correctly pointed out that it’s hard to predict when a positive feed back loop will end. Because as long as prices are going up, people can justify stretching to meet those prices and banks can justify lending with ever looser standards since no one defaults when then can re-fi or sell out at an increased price. Yes, bubbles feed on themselves, and don’t correct until macroeconomic pressures scare investors away. Building massive new condo supply doesn’t result in some magical S&D equilibrium that lowers prices. All new supply in a bubble feeds the bubble, until the bubble pops due to factors other than supply. Depending on the level of central bank intervention, massive new supply causes prices to overshoot on the downside, so in that case, yes, new supply lowers prices. A lot of these buyers do not care about appreciation. When your home country is devaluing its currency, and so many bonds have negative yields, and the current “growth” cycle is getting long in the tooth, a short term dip in your real estate investment is not a big deal. I would bet you a new couch that the decline is 100% due to one thing: the ongoing unstable political weather above AirBnB hq. There is still a massive amount of loose capital sloshing around out there, looking for asset/hedge investment opportunities. AirBnB was the finger on the scale of the math for a lot of those buyers. It really was not. Are you involved in Bay Area real estate at all? I have not had one transaction that was for an AirBnB, and I’ve sold many units since AirBnB’s inception. Not that there aren’t people buying for this reason, but it’s completely negligible in terms of our aggregate market. For every AirBnB and foreign investor boogeyman (Pacific Union release a study where they reviewed their cash deals and found that only 6% were to international buyers), there are many, many well paid people just looking for a place. I know that’s less fun than running around and pretending that evil 1%ers flushed with unspeakable greed are trying to ruin San Francisco for the everyman, but that’s not what is happening. good point, the short term rental legislation is pretty diminishing to the ancillary income potential of a unit. 90 days/year is not much and the city is pushing airbnb to out their unregistered hosts. I know this study was on new construction. But I believe the condo numbers do have to deal with some BOS legislation from years ago. Specifically TIC conversion lottery bypass. Finally a lot of the TIC’s have turned into condos. And longtime owners are looking to cash in their chips. What would you rather want? An old condo in SF in a fun vibrant part of the city, or a new condo in a dull neighborhood void of SF-ness. I think you make a very valid point, yet sales of existing units are down, too. In hindsight, by EOY, it should be clear if this is the start of a down-cycle. Or. more precisely, was the start last fall when some outliers began to appear. Other potential indicators, net absorption of office space has dropped significantly and the sub-lease market has increased. The number of SF residents employed has been dropping for 5 or so months now. Small drops, but the trend is there. A number of entitled projects have been put up for sale rather than being built out. If this is an inflection point, how long will the down-cycle last? How much will prices adjust down (10% or so) – that will only help affordability at the margins. I know of a couple who purchased a two bedroom condo recently on Long Bridge for almost 1.8 million. A mid-rise and they are “just” on the 3rd floor. A 10% drop will not impact affordability in their complex. Will more entitled projects be put on the market? Will projects set to break ground in the next 6 – 12 months be delayed? Will the pipeline of 60K new housing units actually come to pass? Will SF’s population flatten at 855K or so and start to drop? In light of a downturn. Those projections of a million residents by 2032 or so are not written in stone by any means. Even the Mother of All Recessions (2008-2010) was only a 24-month downward cycle followed by the incredibly strong uptrend we’ve enjoyed these past 6 years. I don’t see any macroeconomic dislocation forcing prices down — merely resistance to further upward movement due to incredibly high prices. I haven’t bought any houses since late 2014 and am holding/renting my prime real estate assets. 24 months of stagnant to down activity would be my guess. Keep your powder dry (i.e. cash on hand) and there will be deals to be made in 2017-2018. I don’t see a big drop in SF/Bay Area prices. Maybe 10% – 15%. It will remain an unaffordable market generally. But having cash on hand makes sense for the upcoming several years during which time deals may become available. 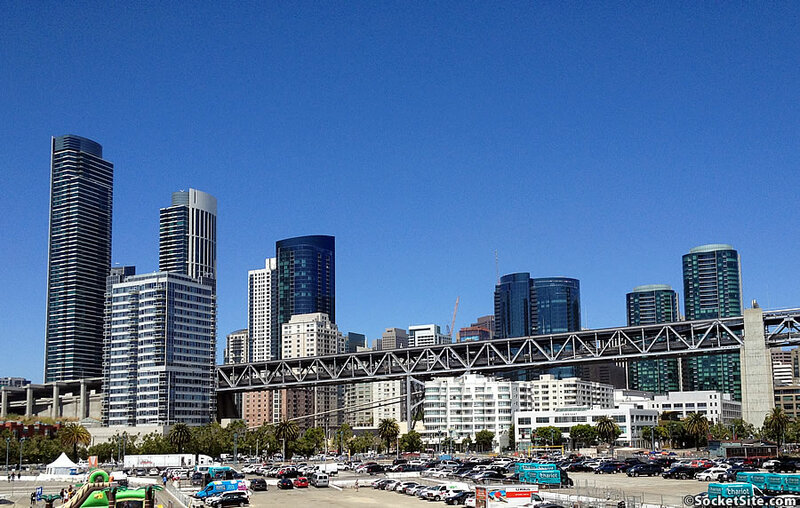 For me as an investor the SF Bay Area will remain off-base even with a small price pullback. I purchased my last 2 homes in 2015. Out of state. Great ROIs. I’m scouting another possible purchase in the Vancouver/Washougal area because of a big appreciation gain that I anticipate over the next 10 years. On top of good a ROI. IMO some other markets will experience a greater percentage appreciation in housing prices over the next 10/15 years. This pullback won’t be anything like 208/2010 IMO. But even then a half done project in Portland became available at a 75% discount on the outstanding note. In two years and at the bottom of the “great” recession it returned 23%. Deals are always out there, but one has to do exhaustive due diligence. Its easy to get burned if one does not know what they are getting into. SS featured some weird SFH flips recently that looked quite dubious. Those SFH flips appear to be some type of tax fraud involving (faked) losses on pass-through entities. Likely with an international twist as the perpetrators appear to be from Iran and neighboring countries (eg Pakistan). I’m sure the details will eventually come to light and be featured here. Personally I never buy real estate that’s more than 30 miles from where I live. Too much work. Even then I have properties I haven’t even driven past in 6+ months. But it’s just a hobby for me. I got my fix in the last recession and I’m off to greener pastures in other interesting markets. In this age of the internet having rental property “close by” is less a factor than it once was. And allows for diversification of one’s RE portfolio. Jimmy, the RE downward trend that preceded the current upwards trend lasted nearly 6 years, from the 2006 April peak to a 2012 Jan bottom and was about 4.5 years from the crash to when the current upward trend began, per SF Case-Shiller (namelink). And that last bottom in early 2012 was at prices below the 2001 top, non-inflation adjusted. A similar long price recovery followed the decline after the last 1980s RE boom, when SF Case-Shiller didn’t reach ~1990 prices until the dotcom boom ~1997. Global deflation is the potentially very big macro-economic force that could undermine demand for fixed assets, esp RE. More specific to SF and SV would be a drop in the profitability of selling iphones and adverts on iphones. The Bay Area’s early 1990s stall was partially due to the decline in PC sales and the early 2000s bust was partially due to the decline in www adverts. But this time all differently. What this country needs is a really good five-percent wage inflation. This was Central Bank intervention. Now that rates are zero, and the political environment is more hostile, they are in a very different position to react. You enjoyed historically accommodating ZIRP and QE policies (which were great for asset prices, but awful for most non-coding wages). I trust you understand the issues surrounding ZIRP and QE. It will be difficult or impossible to push them further, and even if they are, their bubble-blowing capacity will be greatly diminished. You haven’t considered the possibility of rates going negative — not just for government treasuries but for many other categories of debt. What if banks started effectively paying well-qualified, well-capitalized buyers to purchase fixed assets? It could happen. First of all, negative rates are everywhere, especially Europe and Japan, and they have already failed to create meaningful inflation. Second, banks don’t like negative rates, and banks rule America. Third, negative rates don’t mean the borrower gets paid interest, that only happened by accident with a small number of adjustable rate mortgages. Fourth, they are going to create a massive liquidity crisis in the bond market when rates finally do go up.